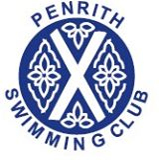 Penrith’s Ullswater Community College once again won the School Challenge Shield in the Penrith Swimming Club event held last month. Team captain Naomi Smith, along with Mark Nixon, Dan White, (year 11) and Rebekah Smith (year nine) were proud to win the trophy, making it the fourth year running for swimmers representing the college. Left to right are Naomi Smith, Mark Nixon, Dan White and Rebekah Smith.